I am making a Paul Sellers Tool Chest and was in need of some hinges for the lid. 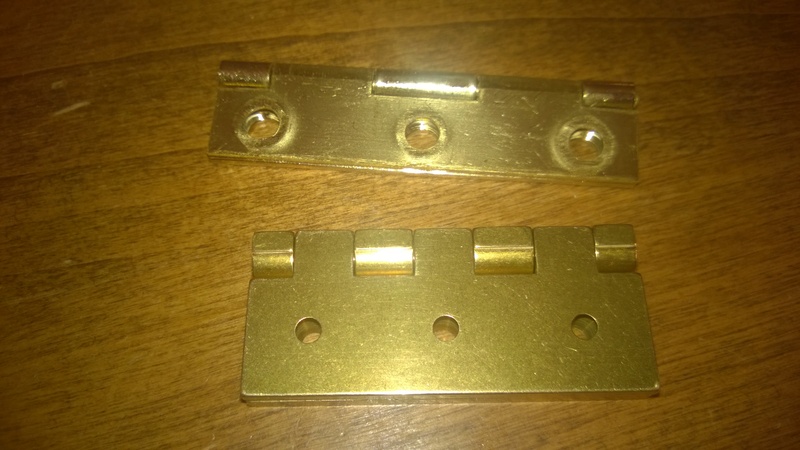 Heading down to the local hardware store I found some basic national hinges. I bring them back home and open them up and they just did not look like they were worthy of the tool chest I have been working on for the past few months. So onto my favorite tool website https://toolsforworkingwood.com/ where I found Brusso Hinges. First the warning, Californians are nuts, I have never eaten a brass hinge. 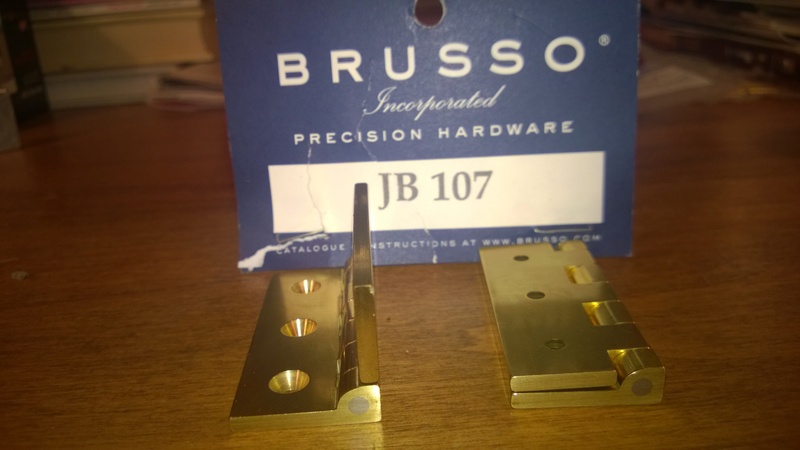 Not to knock the national hinge on the left but the Brusso is on the right is a piece of hardware! 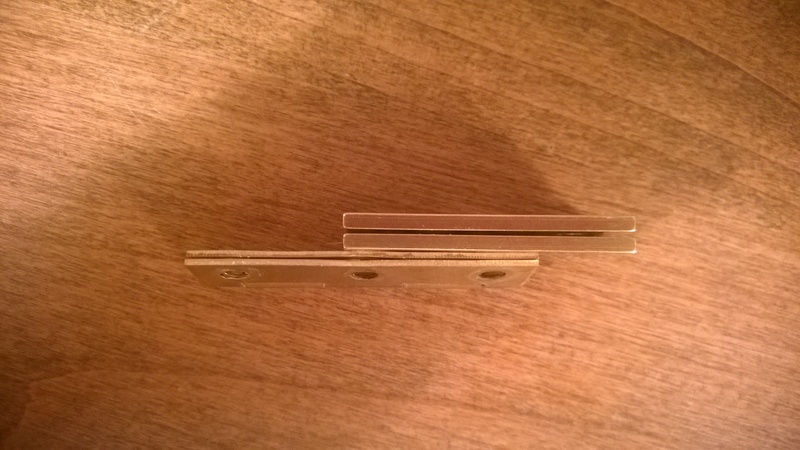 I picked up this hinge as it has integrated stops. Turns out my top is too heavy for those but they are built so much better than the national’s I kept them. 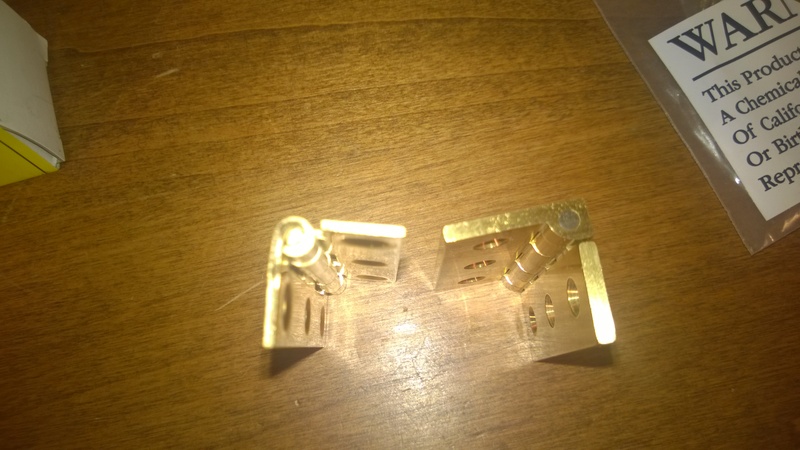 I enlarged the holes just a bit and countersunk them some more. Metal likes a single flute countersink, doesn’t jump or make noise. Not a great picture to show the gap as the national hinge is closed, if they were parallel its is almost a 1/8″ gap. This means much more mortising the hinge into the carcase. The Brusso hinge, hardly a gap at all. They actually publish PDF’s of the specifications on their website. One last photo of these stunning hinges! My install was ok, but doesn’t match the perfection of the machining. I’ll post a few blog posts on the tool chest when it is all done.